Baines, J., and Mälek, S.Atlas of Ancient Egypt. Phaidon, Oxford, 1980. Baker, H. Furniture in the Ancient World. The Connoisseur, London, 1966. Volume 1 1980, Volume 2 1994. Lucas, A. 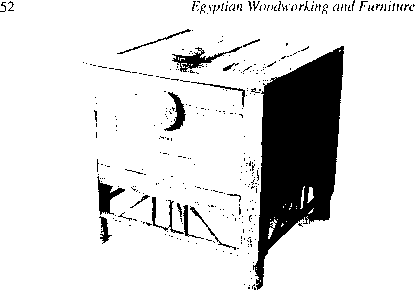 Ancient Egyptian Materials and Industries. Editor, J. R. Harris. Harrassowitz, Wiesbaden, 1982. Oates, P. B. The Story of Western Furniture. Herbert Press, London, 1981. Egypt, University College London, 1917. Singer, C.; Holmyard E. J.; and Hall, A. R. A History of Technology. Clarendon Press, Oxford, 1955.